Scribd will soon no longer be able to serve your streaming audiobook needs, and that's going to force audiobook junkies to fall back on their public library and PD sources like LibriVox. Luckily, a new option debuted this week. The streaming radio site TuneIn has launched a new paid service this week that offers an ad-free listening experience for $8 a month. Described as "one of the most popular radio apps on both iOS and Android", TuneIn's free service let you listen to any of 100,000 plus radio stations from around the globe. The service is free, yes, but you still have to contend with ads in the app and you have to listen to the ads broadcast by the radio stations. TuneIn Premium, on the other hand, improves on the free service by replacing the adverts with more music (but this only works on 600 stations at the moment). The songs are streamed from TuneIn's server, and are chosen based on a user's listening habits. The Premium service also has MLB and Premier League play-by-plays, but never mind that; we're here for the audiobooks. 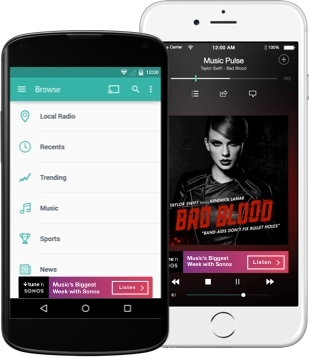 TuneIn is bulking up its paid service with 40,000 audiobooks. It's struck a deal with audiobook distributor Findaway to stream titles from top publishers including Scholastic, Penguin Random House, HarperCollins, and Hachette. Findaway also supplies audiobooks to Scribd and to B&N's audiobook service (assuming it is still in operation), but TuneIn is the only unlimited streaming service supplied by the Ohio-based company. TuneIn offers a selection of audiobooks far larger than Kindle Unlimited (with 4,500 titles), but can they afford to keep the service going? Time will tell whether they survive or go the way of Scribd. If they keep the romance titles out, they might have a chance at surviving with the unlimited model. Between public libraries, LibriVox, and freebies from other vendors, I’m quite content and have no need to supplement my listening with paid services. There is no mention of audio books on their website. Probably it’s there on the app?